Alia El-Bermani received her BFA in 2000 from Laguna College of Art and Design in CA. This talented figurative painter has had several solo exhibitions, most recently in 2016 at TAMU’s Reynolds Gallery. Her work has also been featured in numerous group exhibitions and showcased in museums across the country. In 2015 her painting Paper Wishes was acquired by the Museu Europeu d’Art Modern (MEAM), in Barcelona, Spain for their permanent collection. 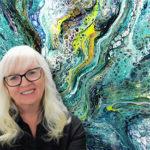 She has been an honored guest lecturer at several universities including ECU, Meredith College, LCAD & TAMU as well as for the 2016 Symposium for Women in the Arts. 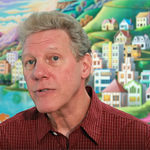 El-Bermani is a member of the Portrait Society of America as well as a co-founder of the important blog Women Painting Women. 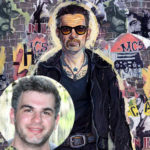 Several articles and interviews have been featured in such periodicals as American Art Collector, Art Week, the Savvy Painter Podcast and LA Weekly. She currently teaches ongoing classes at her teaching studio Alia Fine Art Studios in Raleigh, NC. 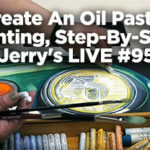 There is a place that can be entered through the act of painting. An internal, unconscious place; where instinct outweighs intellect; where thoughts and images mingle freely. It takes time to warm up to this place. Sometimes we never reach it, but this is where my passion springs from. This is where I find my best work. My paintings follow two subject matters, the human figure and the still life, but rely on one method, observation. Using observation I have developed a painterly approach to representation whether working in oils or gouache. The primary subject matter of my work, the human figure, is a natural one for me. I grew up in a scientific home having both parents as professors at Tufts University School of Medicine. I was constantly surrounded by anatomy books and skeletons and I was often invited to witness dissections of various animals and even cadavers. Although this does not describe a typical childhood experience it gave this growing artist invaluable opportunities. Now, this understanding of the figure which I quietly absorbed as a child is translated into psychologically charged canvases. The still-lifes that I choose to paint range from animal bones to common object. I’ve become fascinated with representing the often overlooked and presenting its inherent power and beauty. These still-life set ups afford me the time that painting from direct observation takes, which isn’t always available for me with the figure. Whether I am painting friend, fowl, or common object a main concern is the actual application of paint. I am tantalized by the surface of paintings which show the buildup and break down of marks. This revealed history has as much presence as the subjects themselves. Through this push and pull of paint emerges the representation of the subject. Out of my internal, unconscious place and through intense observation springs my painterly realism. 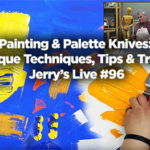 The MOST Vibrant Artist Acrylics You Can Buy Super Concentrated Artist Acrylics – The MOST Vibrant Acrylics You Can Buy! 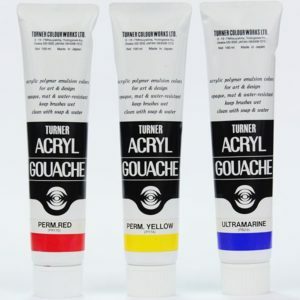 If you love painting, only Turner Acryl Gouache is fully pigmented, is totally free of heavy metal pigments, most colors are totally light fast with the exception of their decorative ranges and fluorescent ranges. Because of the small amounts of binder there is little color shift after painting and the brilliance continues through the drying process making painting compositions more rewarding. Their historic Japanese colors allow compositions in subtle colors that are not available in this quality anywhere at any price. The rich ultra black and super opaque white are among the finest colors ever produced in the world.